The decaying Beach Volleyball Stadium from the 2008 Beijing Olympics. If you want a sure fire way to add even more abandoned buildings to Flint, simply have the Vehicle City host the next Olympics. 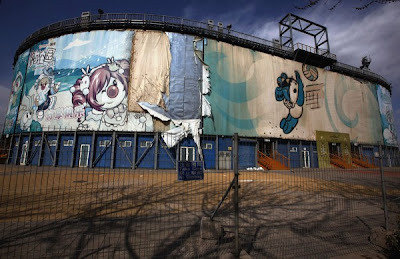 FLAVORWIRE has a fascinating post on abandoned Olympic sites that makes me even happier that San Francisco has never managed to land the Olympic Games. 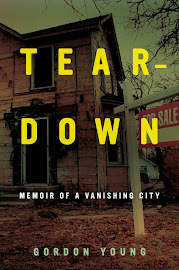 Developers usually clean up but taxpayers in the host cities lose big.